We have one month, just one month until my main guy is one and I am not ready. I keep crying because it's getting so close so I've been channeling all my feelings into throwing Joshua a pretty extra birthday party. I have a few party planning buddies that have all wanted to help so it's been so lovely to be able turn my idea into a reality. If I was in Hey Dougie I'd be getting my Pinterest badge. 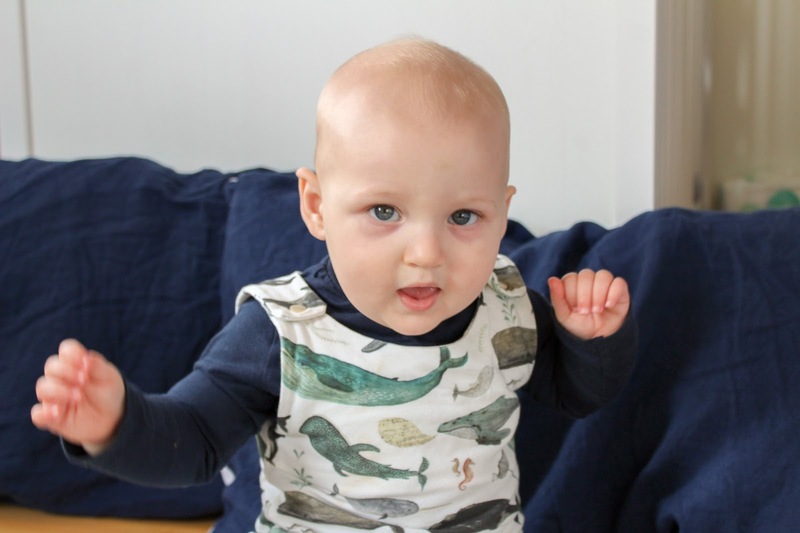 We've had a big month of changes, we've had more teeth, steps and a really disappointing dietitian appointment but it's all gone so, so quickly once again. We have nine teeth! The pesky tooth that I've been on about for ages has cut and come through so we have four bottom teeth and then when he threw his head back laughing one day I discovered a top molar. The poor little lamb must've been in so much pain and we didn't realise as we thought it was just the one coming through. He'll be eating steak before we know it. 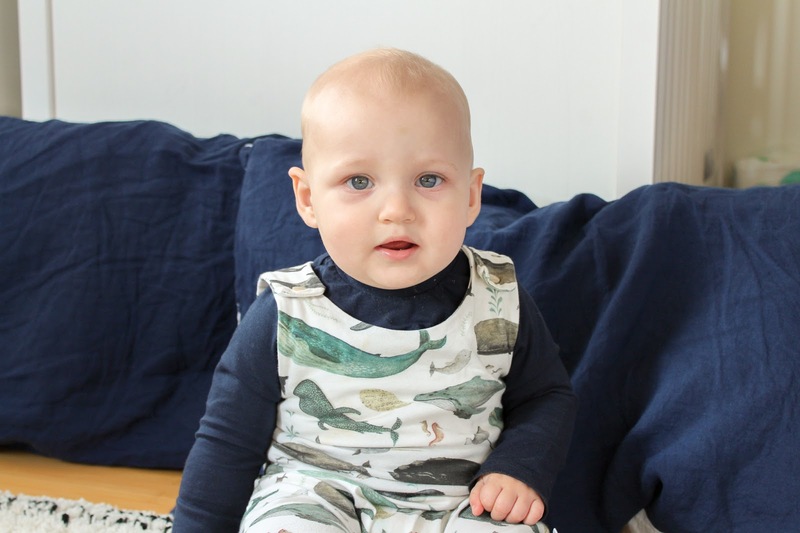 We FINALLY had the dietitian appointment for Joshua's allergy this week although it was a complete waste of time and we're no nearer to finding out if it's lactose or cows milk protein that's the issue. The woman we saw was nice enough but had we seen a specially programmed NHS robot, I wouldn't have known the difference. It was a sales pitch, nothing more, nothing less. We were told to start Joshua on the milk ladder which went a bit like this - biscuit, muffin, scones, pancakes and so on. Hardly the most healthy way of doing things and a complete waste of paper. I accidentally gave him something with dairy in just six weeks ago and he was so poorly but she didn't take this bit of information on-board at all and again pushed the milk ladder. 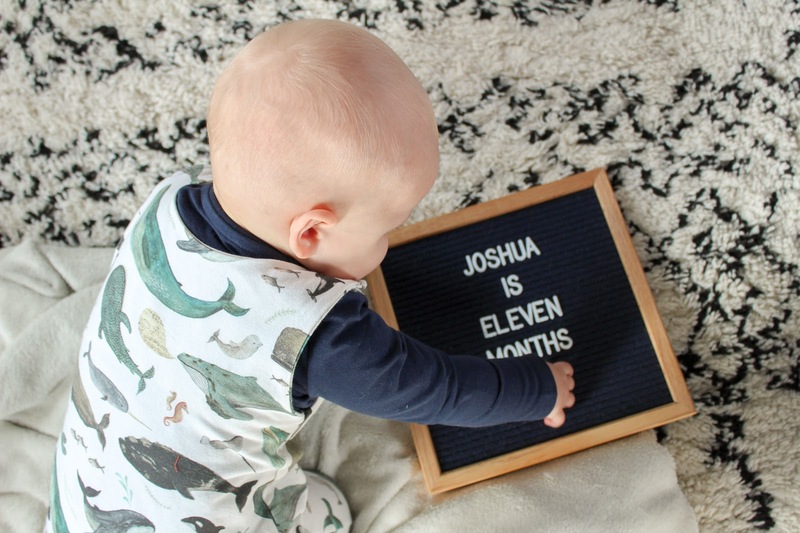 I questioned why we would we give Joshua something that we know makes him ill when if we were raising him vegan, they wouldn't question us and she had no answers. I'm so glad I took my Dad with me because he was able to say about the family history as my mum, sister and I are all the same when it comes to dairy but she didn't really see the relevance. Once I confirmed with her that I was okay to switch Joshua to soya, almond, coconut or oat milk that was it. Our decision was made and he would continue to be dairy free while I continue to have zero faith in the NHS. Calm restored. Sleep is a bit rubbish at the moment but those teeth aren't giving any of us a break so we'll snuggle as a three and get through it together. The new mattress is still a hit so at least that's something. Now just to do something with the practically brand new one that is in our hallway at the moment. Joshua's hair is starting to come through thick and fast, at last. He has the fairest blonde hair and he's definitely not my dark haired baby I thought I would have. He is just so, so fair with beautiful blue eyes. September has seen a flurry of new sounds, words, hand gestures and WALKING!! The last one was a big shock as we didn't expect him to walk so soon but his drunk man waddle is the cutest thing I have ever seen and he looks so proud of himself when he gets up, sets himself straight and walks towards us all by himself. He's started to hold things to his ear saying hello or he waves at us saying hello and he also said bye bye to my Nan last week at the right time. Who knew baby babble could be so adorable. It's just been an entire month of firsts and it's been so lovely to watch him grow as much as I want to cry every time something new and big happens. Joshua starts a new baby class next week called Adventure Babies which is a song and sensory class. 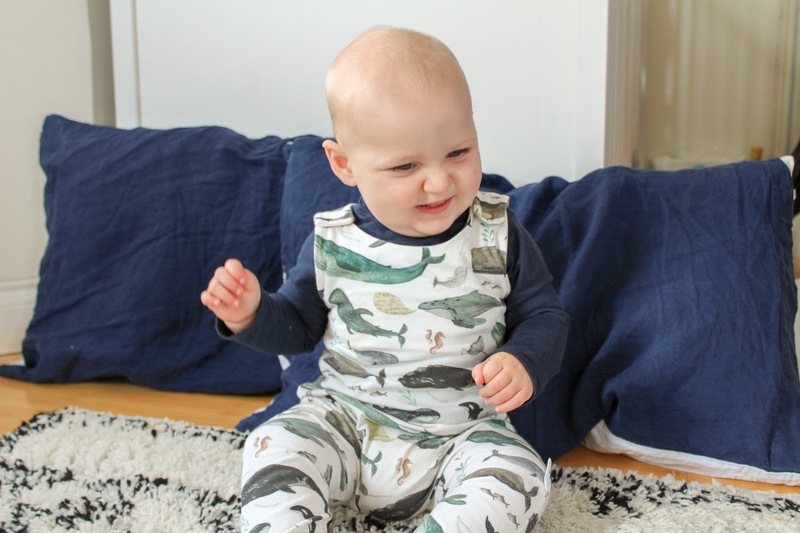 Arran is taking him to the first session as I'm on a press trip and then I'll do the rest of the term, I can't wait as it's a little different to what we've done previously. 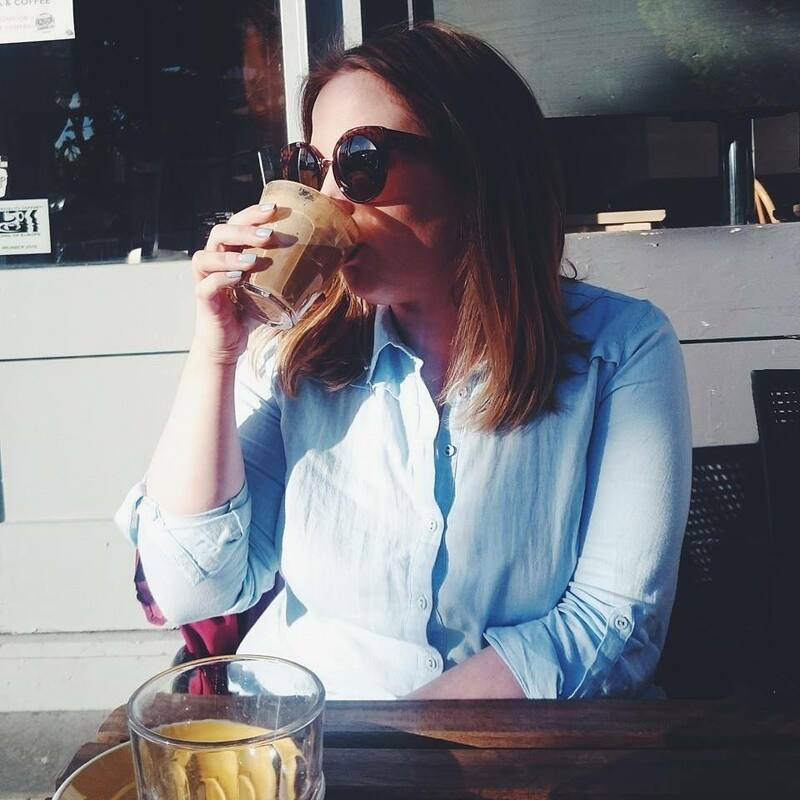 I'm still in two minds whether to find something else too but I need to do some research, we have a great group of mum and baby friends we now meet up with weekly so that definitely helps as does the coffee. 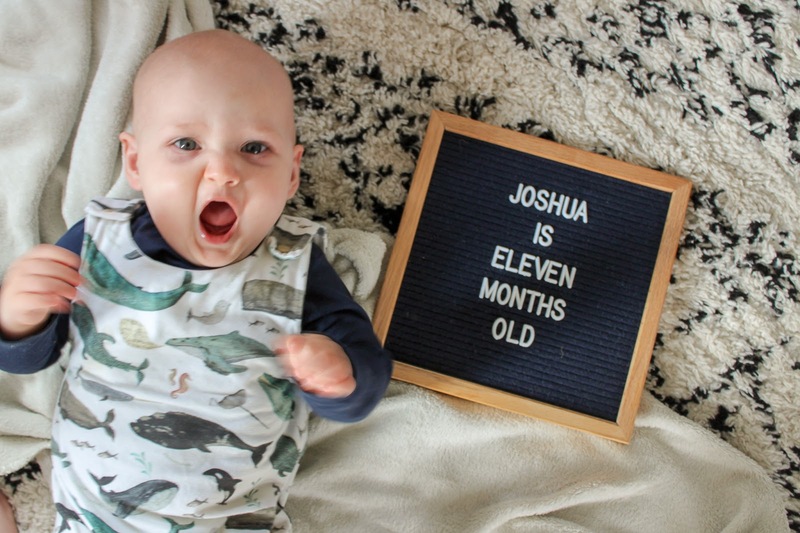 I can't believe the next post will be Joshua is one! You're definitely doing the right thing regarding the milk issue and it's such a shame you're not being provided with more help instead of the generic spiel. I know so many people who's babies are having real problems with cow's milk and you'd think by now more would be done to help with what's best for each child. He's such a cutie! The milestones come thick and fast at this age! So excited to see what you do for his birthday! WOw, how he has grown! Can't wait to see the Birthday Plans! Sorry to hear about the struggles with milk situation, hope he's okay he's grown so much since I first started reading your blog the lil cutie! 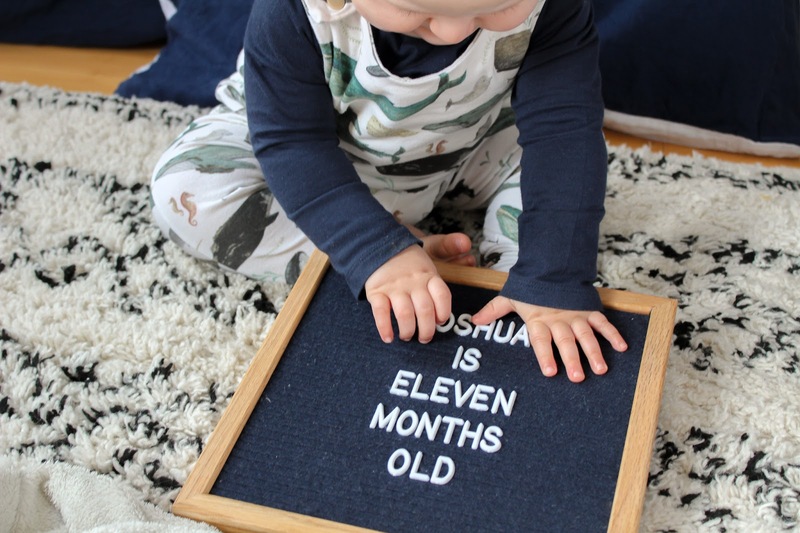 I can’t quite believe he is 11 months old! That’s been so fast! What a beautiful little boy he is, you’re doing such an incredible job. Walking too! That was the cutest! 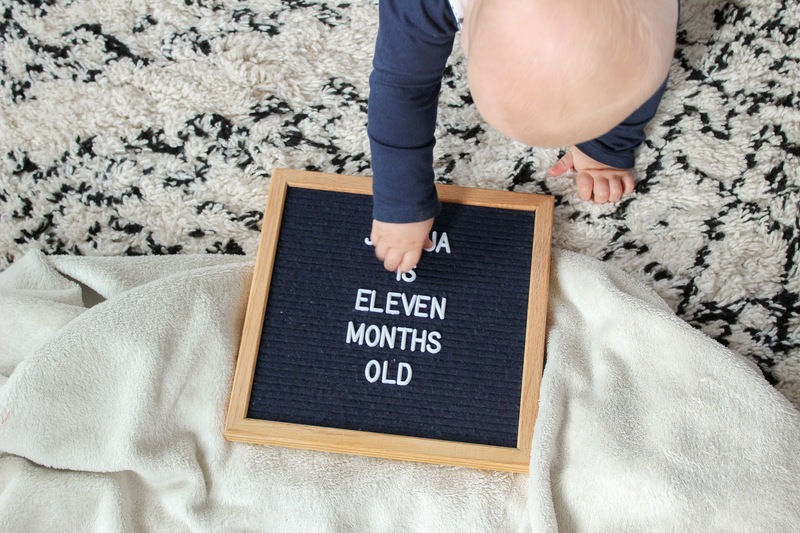 how on earth is he eleven months already!? he is growing sooo fast it's mad!